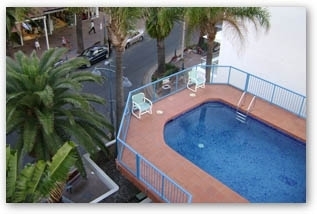 Superbly located within the heart of Surfers Paradise - just a few metres to Cavill Mall. Relax in the coffee shops or dine alfresco at restaurants ranging from fastfood outlets to top rated internationally acclaimed dining spots. 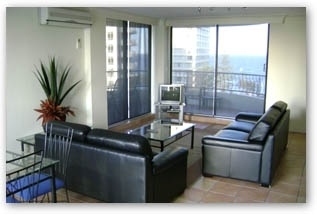 Enjoy the magnificent views or take just 1 minute to stroll to the beautiful beaches of Surfers Paradise. Relax by the pool, have a spa, take a sauna, enjoy a BBQ or, if you are feeling energetic, have a game of tennis. 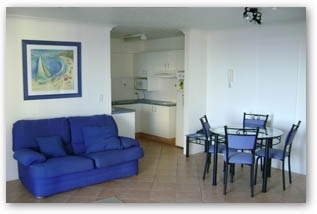 When combined with a prime location, they are the ingredients for that perfect holiday. 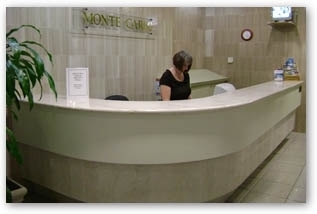 At Monte Carlo Sun Resort the choice is yours. If you're in the mood to relax, laze next to our beautiful pool in the tropically landscaped gardens. Or you could stroll to the beach just a minute away. Monte Carlo echoes the Mediterranean magic with boutiques and sidewalk cafes of a European flavour. It's all waiting just for you. Monte Carlo, right in the centre of paradise. 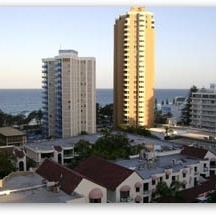 Spacious unit overlooking the heart of surfers with ocean views.